Truck Accident Injury Lawyers – Over 40 Years Of Experience in Malibu, PCH and Los Angeles That You Can Trust! Truck, car and motorcycle accidents can cause devastating injuries. Even fatalities with wrongful death accident claims. Have you been in a tragic truck accident in Malibu, on the Pacific Coast Highway (PCH), or in nearby Santa Monica, Los Angeles or a family member died because of a negligent truck driver? If the answer is yes, you have come to the right place for guidance and legal assistance. Our aggressive yet compassionate and caring lawyers and law offices will assist you during your personal injury case or wrongful death claim. We possess over 40 years of experience in personal injury cases and wrongful death claims. Our attorneys and legal experts will pursue your rights and work in your best interests in order to obtain the best medical care and maximum compensation for your losses, be it for physical injuries, emotional distress, wrongful death and/or property damage. You can contact us for a completely FREE & CONFIDENTIAL CONSULTATION. For more information on our experienced truck accident personal injury lawyers and law firm, please visit our home page. To know about our lawyers, feel free to check our lawyer profiles, and our personal injury & wrongful death case testimonial pages. Once you have done this, please call us at 818-222-3400 or 1.866 INJURY 2, or simply click here for our 24/7 contact information, for your FREE & CONFIDENTIAL consultation and case evaluation. 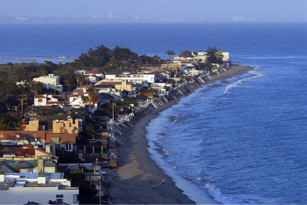 Malibu is one of the world’s most affluent beachfront cities. Stretching across a whopping 27 miles down the enigmatic Pacific Coast Highway (PCH), Malibu, Los Angeles evokes the ultimate beach community with fine ocean-facing dining, shops, entertainment and more. 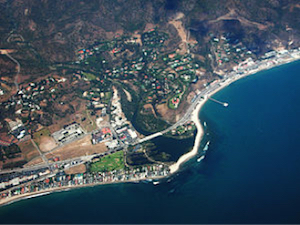 It is home to many surfers and water sports athletes. As of U.S. 2010 census, the population of the city was 12,645. 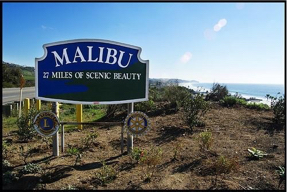 Malibu, LA actually consists of a 21-mile long strip of prime Pacific coastline. The beach facing city is famous for its warm, sandy white beaches and is also nicknamed “the blue” by surfers and locals. Malibu, LA has been home to many Hollywood movie stars and other noted celebrities associated with the entertainment industry, including Paul Newman. It is also where the famous Malibu Colony is located where many entertainers and wealthy persons reside, as well as Zuma Beach, Point Dume, the location for many movies and television shows such as the series Two and a Half Men, as well as the Getty Villa (part of the J. Paul Getty Museum), Pepperdine University where one of our partners attended law school, and the Adamson House. 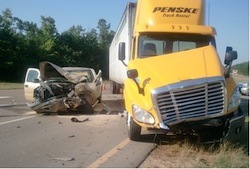 The repercussions of truck accidents can be quite expensive and devastating, especially for victims in smaller vehicles. The cost of medical bills, lost income, and other expenses that arise later as a consequence can become burdensome for not just the victim, but for his or her family as well. Our truck accident personal injury lawyers understand this burden and always strive towards alleviating it with help obtaining medical care on a lien basis (which means payment is not due until the case resolves), assistance with monetary advances and maximum settlement compensation. Our personal injury lawyers in Malibu, Los Angeles will not let you face these difficult times alone. Instead, we are here explain the process, advise you and seek maximum compensation for your damages and justice for your suffering through prompt and aggressive handling of your claim including with a truck accident lawsuit when necessary. For our quick and easy consultation, contact us form and tell us about your Malibu, PCH truck accident or other injury accident.